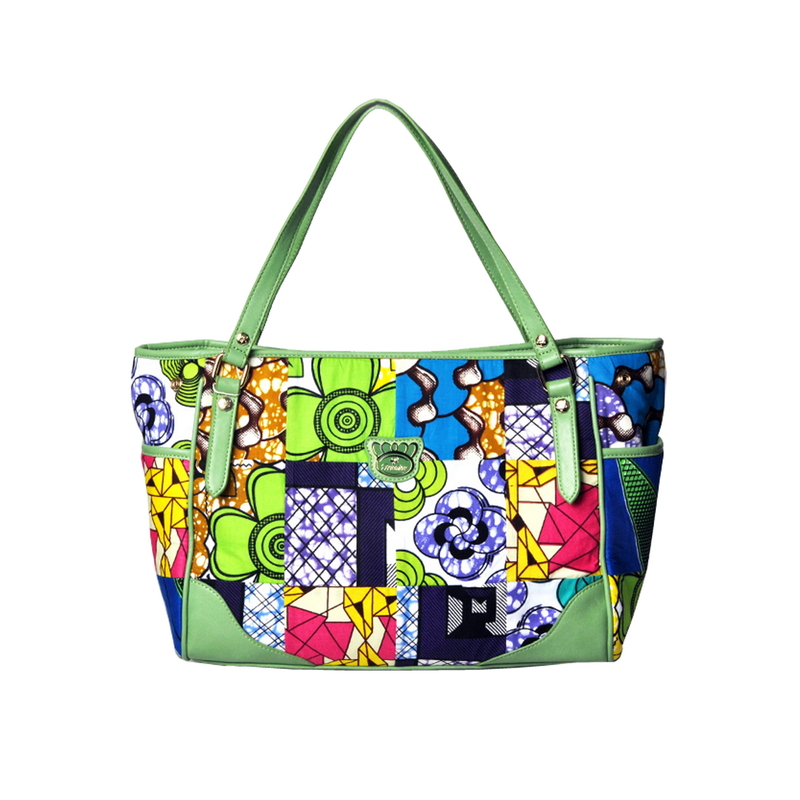 As Exotic Bags go, this is probably the most colorful one you’ve ever seen! 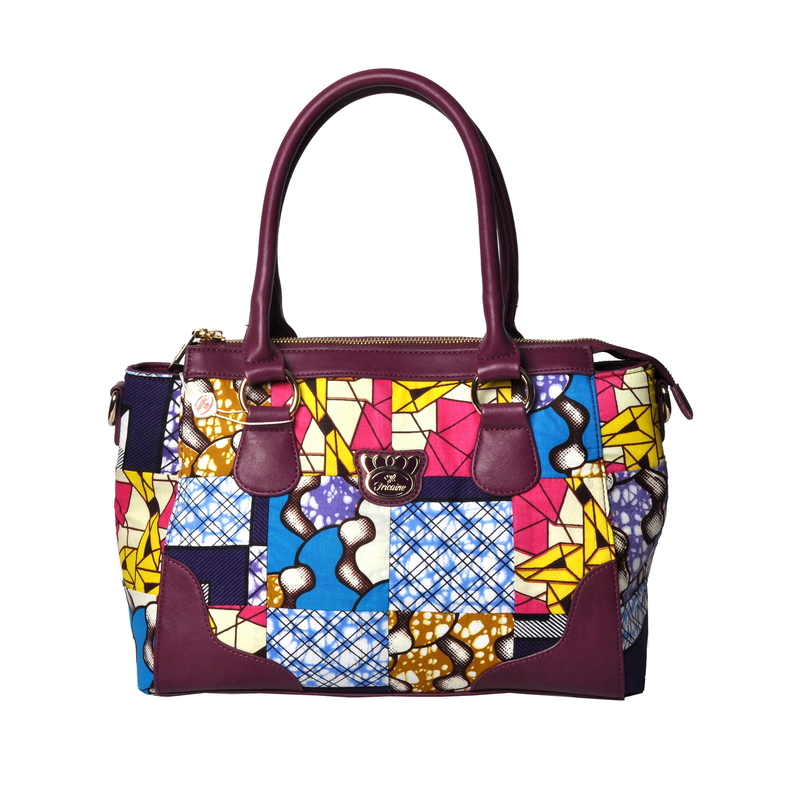 Part of our Wax Fabric Exotic Bag Series, project an alluring, sophisticated and exotic look with the unique design of this Fricaine handbag. 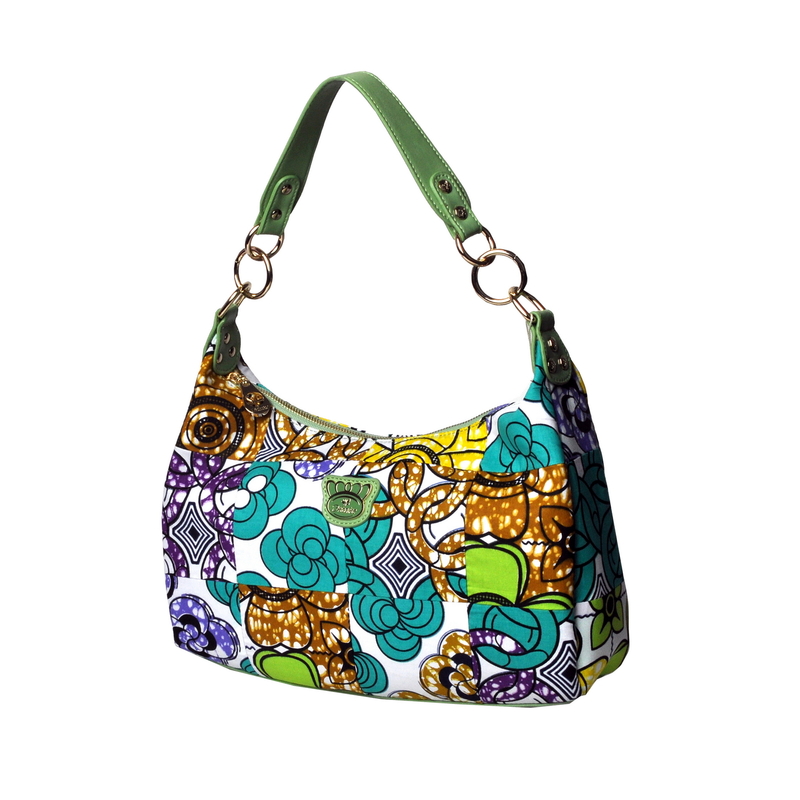 Four (4) distinct wax fabric patterns were combined to make this roomy, functional and eye-catching handbag. It has one card pocket, one interior cell phone pocket, one exterior pocket, one drop pocket and one separate multi-purpose pocket. 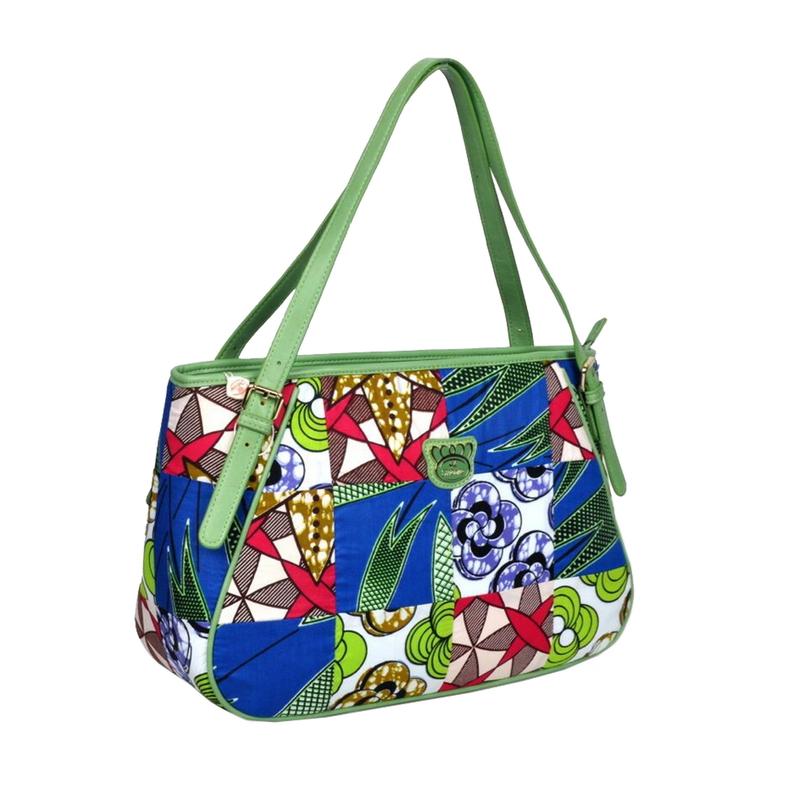 Comes with adjustable and detachable strap. 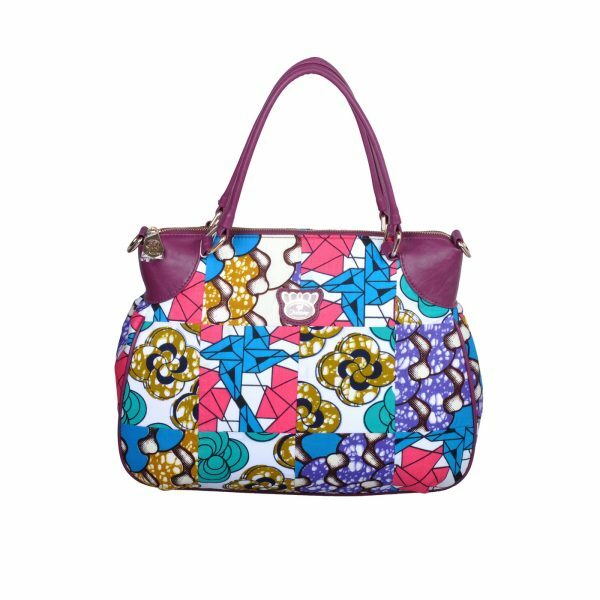 Dimension: 15"(L) x 5"(W) x 12"(D) Shoulder Drop: 7" Long Adjustable Strap: 50"